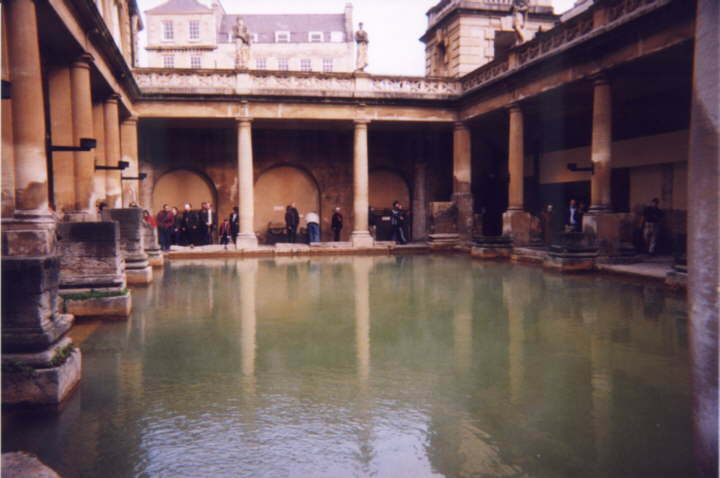 Here is a view of the Roman Baths without Zorana or I covering it up. If you look very closely, you can see the steam rising. Atop the back of the structure, you can see the Roman centurions.